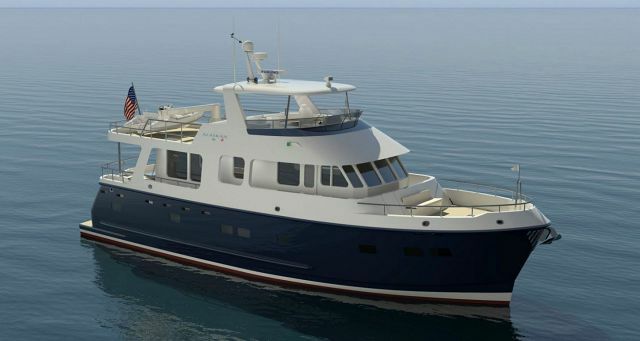 Jupiter, Florida – Peter Whiting, the Managing Partner of Seattle Northwest Yachts, LLC, announced today that his firm has purchased the Alaskan brand and is in the process of contracting to build a contemporary version of the legendary line of Defever-designed, long-range, trawler-style yachts. 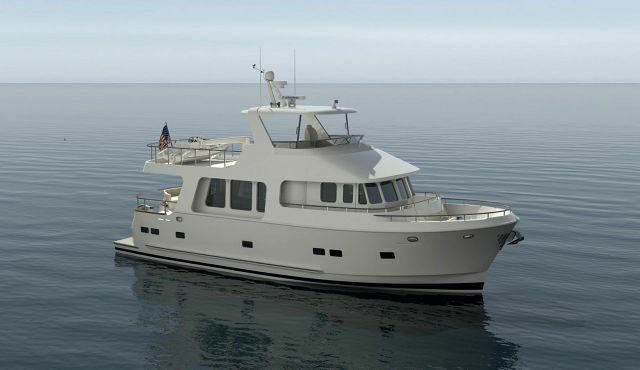 Speaking at Seattle Yachts' U.S. east coast office in Jupiter, Florida, Whiting said the re-activation of the Alaskan brand will begin with an Alaskan 66 Mk II that will sport a wide-bodied 19'6" beam hull and interior accommodations developed to meet the exacting tastes and requirements of today's market. "Stephen Seaton is without doubt the most appropriate naval architect in the market segment to carry the modernization of the Alaskan line forward. We've been working with Steve for several years in the development of our Northwest line, and in that time, we've grown exceptionally confident in his keen abilities and insights when it comes to long range, ocean-going yachts." Whiting also announced that Seattle Yachts of Anacortes and Seattle, Washington, and more recently Jupiter, Florida, has contracted with well-known marine industry consultant, Phil Friedman, of the Port Royal Group, Fort Lauderdale, to manage the development and construction of the new Alaskan line, as well as to provide overall new-build management to the firm’s clients. Whiting pointed out that Friedman, a former CEO of Palmer Johnson Yachts, has in-depth experienced in the construction of luxury yachts and small commercial craft in the 20- to 60-meter range. 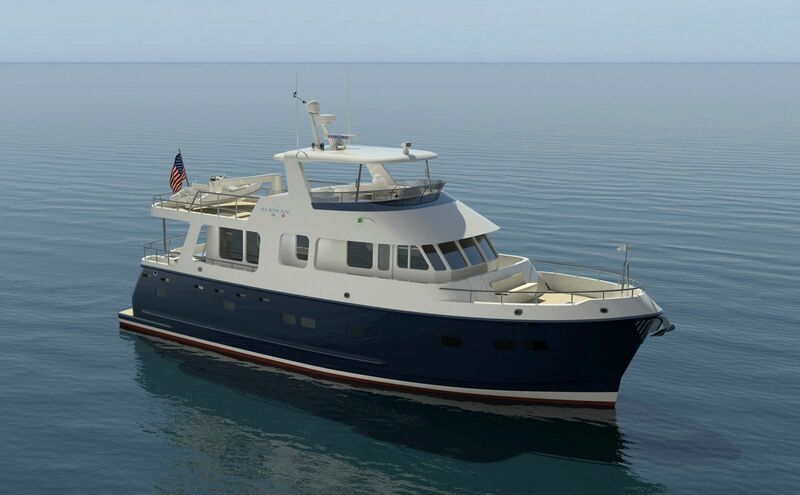 “Our primary objective for the new Alaskan line is to deliver a rugged, seaworthy, comfortable, and good looking long-range cruising yacht at a compelling price. The key to being able to do that is to understand which features genuinely matter and which marketing-driven bells and whistles add cost without contributing significantly to utility or enjoyment." 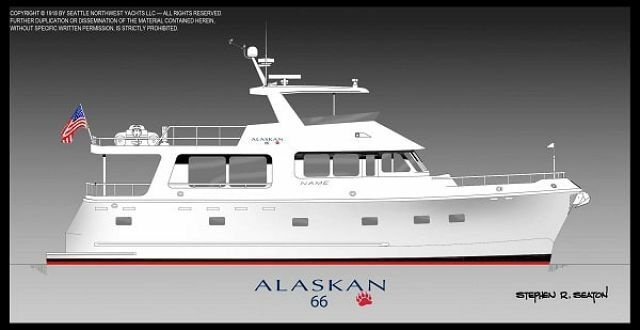 The company will introduce it plans for the new Alaskan line to interested yachtsman at the upcoming Palm Beach International Boat Show, March 22 – 25, at Seattle Yachts’ in-water display. Seattle Yachts is a full-service brokerage and new-yacht dealership with a sales force of twenty and offices in the Pacific Northwest, in Seattle and Anacortes, Washington, and in the Southeast in Jupiter, Florida. 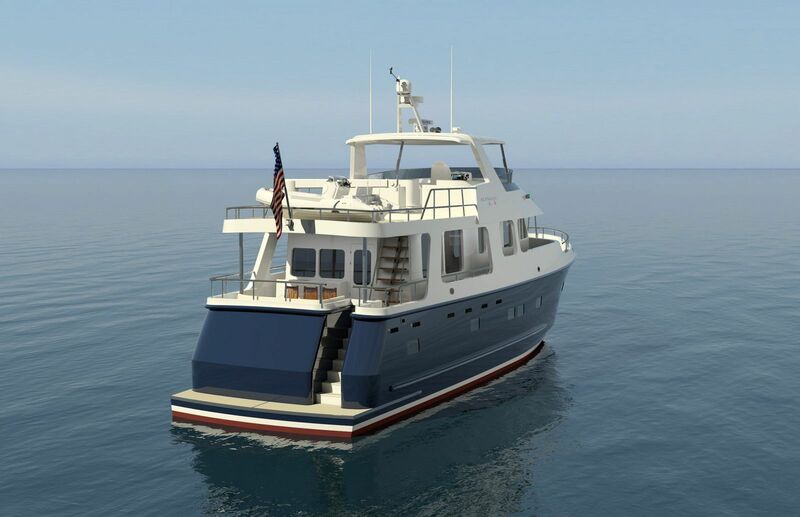 In addition to its own Northwest and Alaskan new-build lines, Seattle Yachts offers new yacht sales of Nimbus, Regency, and Legacy motor yachts, as well as Tayana, Elan, Impression, GT5, and Tartan sailing yachts. Fuel Tank Capacity: 1,800 Gal. Black Water Tank Capacity: 200 Gal. Gray Water Tank Capacity: 100 Gal.